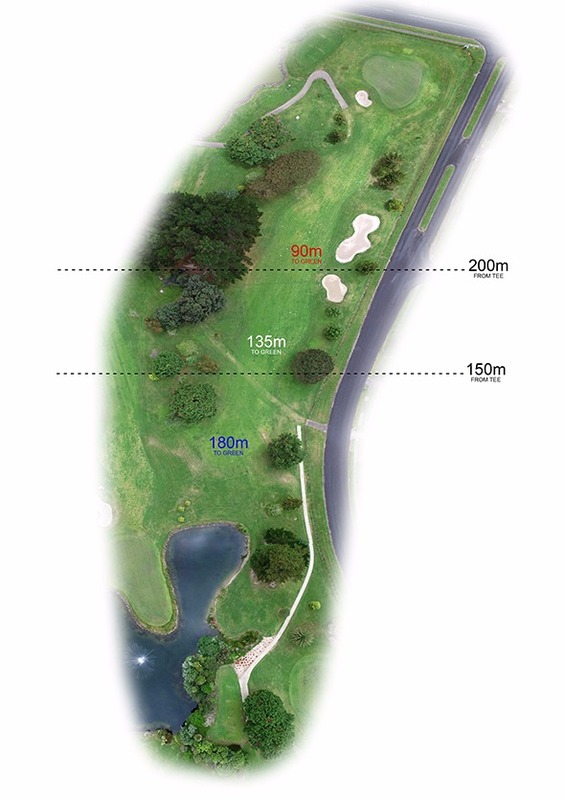 Slightly elevated tee, with your tee shot across a large pond. A narrow fairway with fairway bunkers on the right and out of bounds all down the right hand side. A row of large trees on the left hand side comes into play. Slightly raised green protected by deep bunker front left and grass bunkers to the right hand side. Out of Bounds also runs across the back of the green. 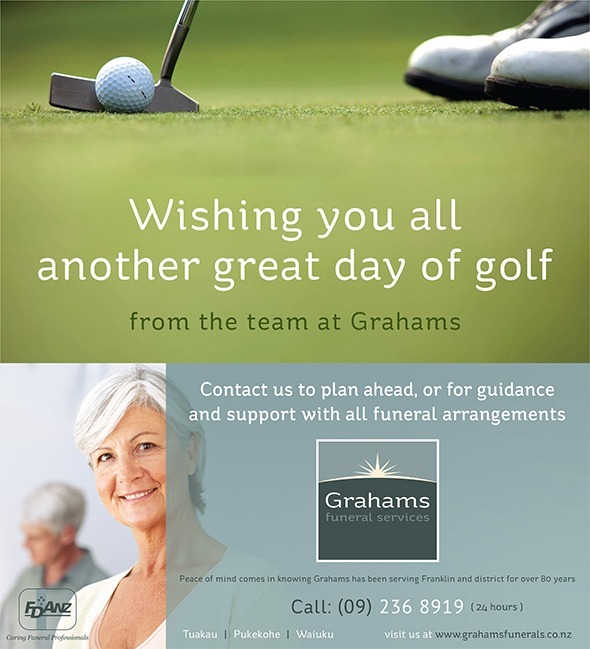 Graham‘s Funeral Services is a progressive and professional funeral provider which has been serving the Franklin and surrounding districts since 1935. Currently led by third generation funeral director Mark Graham, his team of trained and qualified professionals provide quality advice, service and support when your family is facing a bereavement or is wishing to plan for the future event. Whether your loved one wishes to be buried or cremated, have a private or public service, in a church, chapel, marae, family residence or other such venue, we can help facilitate this farewell ceremony and help complete the administrative and practical tasks required and offer ongoing support if required. With chapel, viewing and reception facilities in Pukekohe, Tuakau and Waiuku we offer convenient locations within the district. We provide a 24 service if required. Ph. 09-2368919 which will be answered by our on call funeral director. We also offer a complete service for the design, production and installation of quality personalised memorials and headstones.